The effects of drugs and alcohol can range from minor discomfort to fatal consequences. What happens when you combine antibiotics like doxycycline and alcohol? Does alcohol cancel out antibiotics? Does it make the side effects worse? 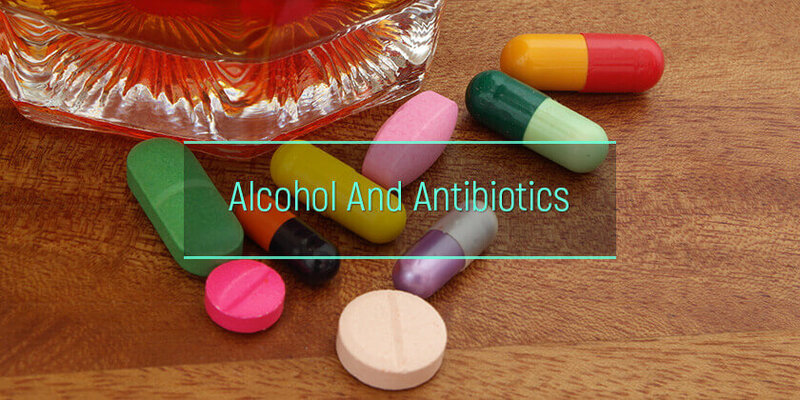 Both alcohol and antibiotics cause a variety of effects in the body. When taken together, some of these symptoms become worse. Also, certain types of antibiotics and alcohol can cause serious reactions. Here’s the lowdown on why no alcohol with antibiotics. Which antibiotics have dangerous interactions with alcohol? What are the health effects of mixing antibiotics with alcohol? Why is it still not advisable to drink on antibiotics that do not interact with alcohol? What is the statistics on ethanol use while on antimicrobial drugs? Does ethanol change the effectiveness of bactericide drugs? Is it safe to take antibiotics with ethanol-containing OTC medications? Just like mixing alcohol and marijuana is a dangerous habit, drinking while on certain medications prescribed for infections can cause potentially dangerous interactions. 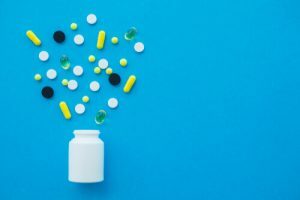 Drinking while taking antifungal drugs such as metronidazole and tinidazole can cause distressing symptoms such as fast heartbeat, headache, flushing, nausea, vomiting, and stomach cramps. The combination of ketoconazole and alcoholic beverages increases the risk of liver toxicity. It can increase the effects of ethanol. Symptoms like sweating, flushing, and redness may occur. The drug causes some people to become drowsy, dizzy, and less alert. Alcoholic beverages are CNS depressants and can cause similar symptoms. The combination of the two can lead to potentially fatal accidents and injuries. Drinking alcohol while on antibiotics used to treat tuberculosis is not recommended. In combination with alcoholic drinks, cycloserine can increase the risk of seizures, even in people who are chronic alcoholics. Another TB medicine, ethionamide, when mixed with ethanol can lead to psychosis and CNS toxicity. It can also cause damage to the liver in people with a history of alcoholism or prior liver disease. Linezolid and isoniazid interact with the tyramine present in alcoholic beverages. High tyramine levels are associated with a dangerous spike in blood pressure that requires emergency medical care. Alcoholic drinks should never be mixed with sulfamethoxazole and trimethoprim as this can cause a severe reaction. Signs of a bad reaction between alcohol and antibiotic include flushing, racing heart, and severe headache. Drinking on steroids is also not advisable, because these two substances can irritate the digestive tract and cause ulcers. Similarly, it is a bad idea to mix drugs like azithromycin and alcohol. Some antibiotics have no direct interaction with ethanol, but there are still reasons to avoid mixing the two. Delayed Recovery: Antibiotics are prescribed to treat infections. Along with the medicine, a person needs excellent immunity to fight off the infection. Ethanol weakens the immune system, causes dehydration, and reduces energy. This impairs the body’s ability to heal. Drinking alcoholic beverages during treatment for infection can, therefore, slow down the recovery process. Gastrointestinal Effects: In healthy individuals, friendly gut bacteria aid digestion and destroy harmful bacteria. Antibiotics cause a short-term decline in this natural microflora. Ethanol is known to cause intestinal inflammation. The combination of drugs like levofloxacin and alcohol can, therefore, intensify the negative effects on the gastrointestinal tract and it is not completely safe to use them together. Antibiotics and Alcohol: What Does the Data Say? The NIH National Institute on Alcohol Abuse and Alcoholism (NIAAA) found that 42 percent of respondents who drank also took prescription medications known to interact with alcoholic beverages. In older adults, this number was nearly 78 percent. Alcohol and amoxicillin should be avoided because ethanol significantly affects the rate of absorption of this drug. In addition, this medication and ethanol are both implicated in liver toxicity. Chronic intoxication with ethanol is associated with altered levels of antibiotics in the blood as well as elimination rates. In experiments, pre-treatment with cephalosporin was found to induce an unpleasant anti-abuse reaction in drinkers. Many types of prescription medications, including antibiotics, interact with alcohol. So, can you drink alcohol on antibiotics without reducing their effectiveness? It is generally believed that ethanol does not make most antibiotics ineffective. However, some of these drugs are absorbed in the gut and ethanol can decrease their absorption. Both substances are metabolized in the liver and this can have potentially serious medical consequences. For example, in chronic alcoholics with pre-existing liver damage, alcohol on antibiotics can lead to an alteration in the metabolism of the drugs, affecting their efficacy and safety. Ethanol can also intensify some of the side effects of these medicines and reduce compliance, leading to poor treatment outcomes. Some over-the-counter flu remedies contain ethanol. For example, Benadryl contains 14 percent alcohol. For the most part, it is safe to take ethanol-containing cold and cough medicines with antibiotics. However, it is always a good idea to check with a doctor or pharmacist before taking any two drugs together to make sure there are no interactions. People know that mixing Augmentin and alcohol can lead to problems, but does a bottle of mouthwash from the bathroom shelf pose a risk? Most mouthwashes contain 20 percent ethanol or more. They are meant to spit out, not swallowed. If an individual were to ingest the mouthwash while on treatment with prescription medicines for infection, there can be a possible interaction between the antibiotic and the alcohol in the mouthwash. It’s important to use the mouthwash as directed and spit it out to avoid any potential complications. Can one drink alcohol with antibiotics? It depends. Certain combinations like ciprofloxacin and alcohol are relatively safe, while others can lead to severe reactions. Only a qualified medical professional can answer the question of whether one can drink while taking amoxicillin and other such medicines. If one has been prescribed treatment for infection and is in doubt, they should talk to the physician or pharmacist to make sure it won’t cause problems. In case the alcohol addiction makes it impossible to stop consuming the substance notwithstanding the possible severe complications, the patient shall ask for help in one of the facilities specialized in alcoholism treatment. There are many treatment options available for those willing to recover.